Le Grand Bellevue, Gstaad, Switzerland. At the peak of the festive season Small Luxury Hotels of the World (SLH) offers a variety of last minute seasonal activities and packages around the world for those of you who want to celebrate with a bit of style. With interiors and design inspired by London’s famous Victoria and Albert Museum, this distinctive late 19th century townhouse reflects the charm of the British winter. For last minute Christmas cheer, its Christmas Afternoon Tea served in the hotel’s patisserie lounge includes treats such as mince pies, mulled wine, jelly, turkey and cranberry gougères, and on certain dates, a carol singing quartet. The Ampersand’s bar and restaurant, Apero, offers a taste of Christmas with cocktails and seasonal small plates, as well as a special private dining Christmas menu, featuring festive favourites. The Christmas Afternoon Tea is priced from £32.50 per person and available until 28th December. 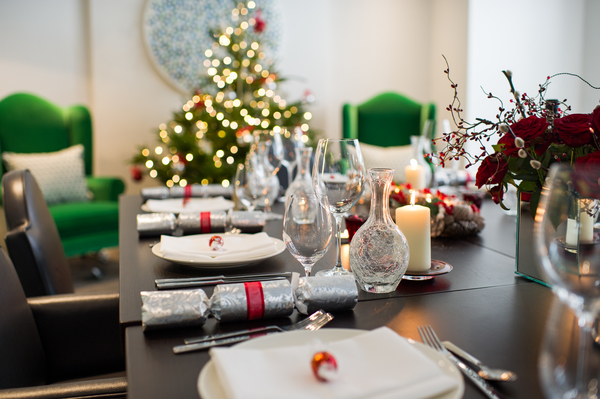 The private dining Christmas menu is priced from £40 per person. Small Luxury Hotels of the World offers rooms from £157 per night in December based on two people sharing on a room only basis. Festive dining at the Ampersand Hotel. SLH’s stylish Hollywood themed retreat, Hotel Shangri-La, is enabling its guests to bring in the New Year A-list style, with one of LA’s most glamourous New Year’s Eve parties. With cocktails, canapés, live DJs, champagne and dancing into the night, the Shangri-La’s Masquerade Ball will have all the elements for a not-to-be-missed celebration. Tickets for Hotel Shangri-La’s New Year’s Masquerade Ball cost $150 per person (which includes three cocktails). Small Luxury Hotels of the World offers rooms on New Year’s Eve from £304 per night based on two people sharing on a room only basis. 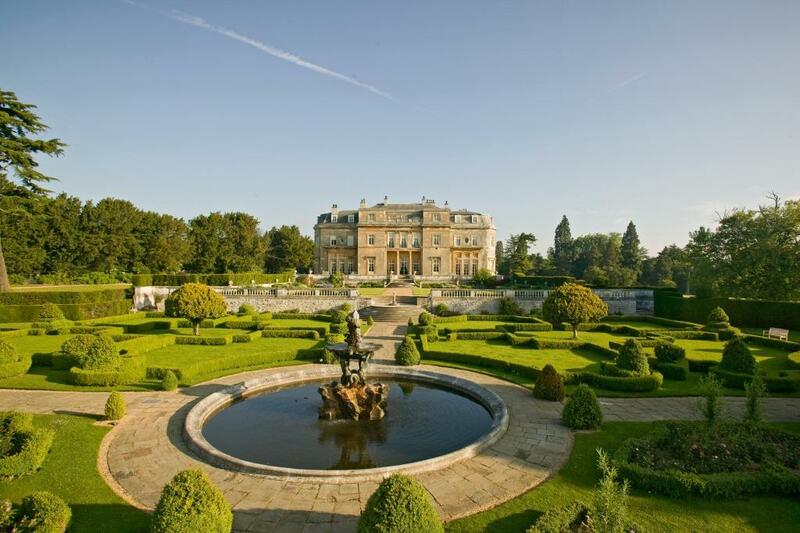 Set in England’s stunning rural countryside, Luton Hoo Hotel, Golf and Spa is an exquisite former stately home that reckons it makes guests feel like royalty at Christmas and throughout the year. There’s no shortage of celebrations at Luton Hoo and this year, SLH is offering an exclusive package comprising a three-day Christmas House Party from Christmas Eve to Boxing Day featuring a daily celebratory meal and a sumptuous afternoon tea. Small Luxury Hotels of the World offers deluxe rooms as part of the three-day Christmas party deal starting from £1,505 per room based on two people sharing. SLH’s Hotel Telegraaf is a charming boutique hotel which was once a 19th century telephone exchange. It is located just a stone’s throw from Tallinn’s Town Hall Square in the heart of the Old Town, which during December is awakened by a fairy-tale winter wonderland featuring the biggest Christmas tree in Estonia. 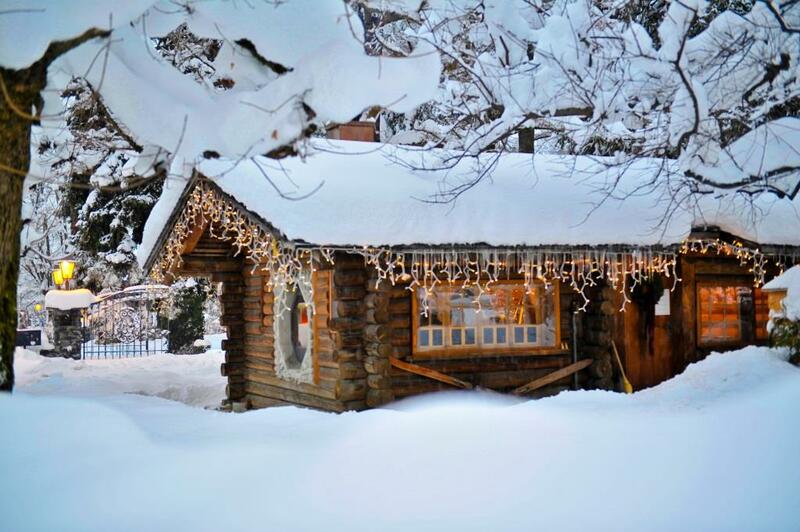 The square is filled with classical wooden stands selling hand-crafted gifts, decorations and traditional Estonian Christmas treats, such as mulled wine, black pudding and spicy gingerbread. On New Year’s Eve, its award-winning restaurant, Tchaikovsky, specialising in Russian cuisine, spoils guests with an extravagant six-course dinner accompanied by live classical music, with prices starting from €180 per person. Small Luxury Hotels of the World offers executive doubles from £132 per night in December based on two people sharing on a B&B basis. A classic winter retreat in the heart of Helsinki’s Market Square and overlooking the picturesque South Harbour, Hotel Haven blends monochrome patterns with soft oak and roaring open fireplaces. A number of activities and guided excursions are available for guests during the holidays, including visits to a nearby Reindeer farm, Archipelago snowmobile safaris, a day of extreme winter sports, snowshoeing and tobogganing, as well as sled rides led by a group of Finnish huskies. Small Luxury Hotels of the World offers rooms from £143 per night in December based on two people sharing on a B&B basis. The Wild Sage Dining Room at the Rusty Parrot Hotel. Award-winning family-friendly luxury wilderness lodge, Rusty Parrot Lodge & Spa, has a jam-packed calendar over Christmas and New Year that will keep all guests, young and old, feeling in good spirits. 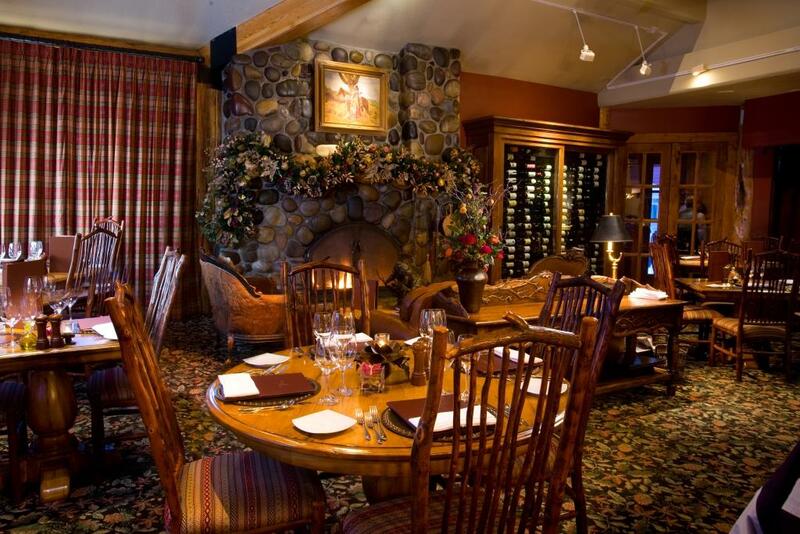 Celebrations start on Christmas Eve when the Rusty Parrot staff adds the finishing touches to the lodge’s decorations, followed by a trip to the Town Square of Jackson to see Santa and put in any final requests. Christmas Day activities include viewings of classic Christmas films in the den, cookie decorating and gingerbread house making. On Boxing Day, there’s plenty of opportunity to enjoy the fresh air with a snowman-making competition as well as ice skating in the centre of Jackson. Small Luxury Hotels of the World offers three nights from 24th – 27th December at Rusty Parrot Lodge from £954 per room, based on two people sharing. Le Grand Bellevue redefines casual elegance with the feel of a country house hotel in Gstaad. Situated in the heart of the famously traditional Swiss resort Christmas gets underway on 19th December with the annual lighting of over 40,000 lights on its 35m tree. A five course Christmas Eve feast offers delicacies such as Osietra Caviar, chestnut cream soup and saddle of roast venison, while the five course Christmas Day menu features traditional Swiss Christmas goose and fillet of Scottish salmon. Its New Year’s events are unrivalled, kicking off with a special brunch on 1st January in its Michelin starred restaurant, Leonards, complete with live streaming of the Vienna Philharmonic Orchestra in concert. Five course meals on Christmas Eve and Christmas Day cost 150CHF per person. New Year’s Day brunch costs 130CHF per person. Small Luxury Hotels of the World offers rooms from £365.50 per night in December based on two people sharing, including dinner and breakfast. For details of these hotels and more luxury properties in a variety of destinations you can visit www.slh.com.